The Michigan Department of Natural Resources offers two options for those who wish to obtain a Michigan Boating Safety Certificate. 1. The first option is to attend a 6 hour course taught by a certified boating safety instructor. The instructional period is followed by an exam. After successful completion of the exam the student is issued a Michigan Boating Safety Certificate. All scheduled classes and fees if any are posted on the DNR web site; http://www.michigandnr.com/recnsearch/. 2. Complete an online boating safety course at www.boat-ed.com or www.boaterexam.com. Successful completion of the online course is recognized and takes the place of the instructional period of option 1. Upon completion of the on-line course the student will be able to print a certificate of completion for the course. Both websites charge a $29.95 fee for the Boating Safety Certificate which is paid after you have passed the exam. Both websites are recommended by the Department of Natural Resources and Environment as an alternative to option 1. 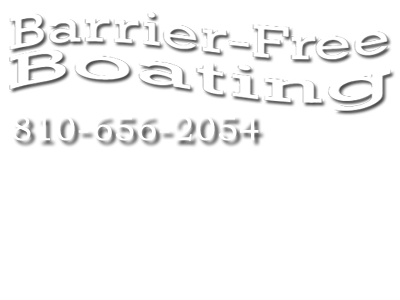 The insurance carrier for Barrier Free Boating requires all Pilots to be at least 18 years of age, have a valid driver’s license, and a boater’s safety certificate.